Nokia’s reorganization process has been going at full speed for a while now and there are no signs of slowing down. Today the company announced it will rename all the Ovi services to Nokia services. This move aims to unite and strengthen the Nokia brand as a whole. After Nokia replaced its CEO, migrated to Windows Phone 7, changed its font, moved Symbian outside Nokia and dismissed 4000 employees, today we witness another big thing – it gives up on the Ovi brand. According to Nokia there will be no other changes besides the rebranding, which should end somewhere in 2012. It promises a "smooth and seamless transition" that will change nothing but the Ovi word in various services. Why the change question got a short and simple answer – "By centralizing our services identity under one brand, not two, we will reinforce the powerful master brand of Nokia and unify our brand architecture". We have to admit the Ovi name didn’t reach the popularity and success Nokia wanted, but we are not sure if this is the best time for a change, however small it is. After all we, the consumers, don’t care that much about the name, but about its quality. 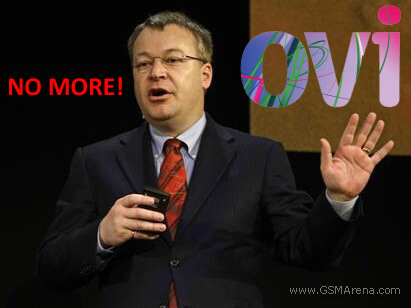 Oh and Nokia, if you are done with all these reorganizations in your house, we'd love to see an actual phone thrown our way!